MUST SEE: After Her Husband Discovered That She Had Another Boyfriend, He Did This Inhumane Act! 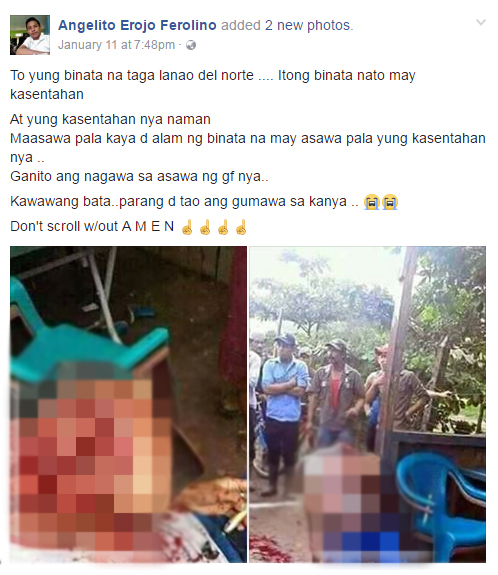 The world of social media was shocked after one netizen posted a ridiculous incident happened in one of the provinces in the Philippines, Lanao Del Norte. Angelito Erojo Ferolino, a Facebook user, posted on his wall the crime happened last January 11. 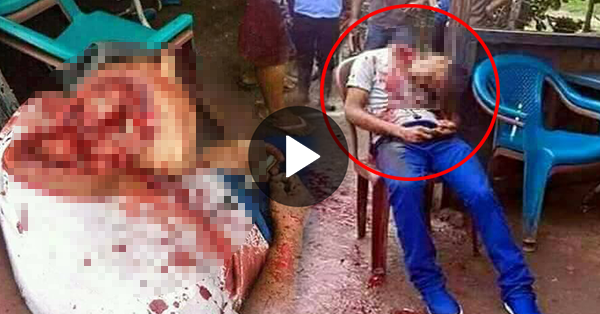 A young man was almost beheaded by the husband of his girlfriend. The young man had no idea that his girlfriend was already married. When the husband was informed that his wife has another guy, he immediately confronted the guy and killed him. The boyfriend of the wife was brutally slashed on his neck that caused him to death. The suspect is still at large and being searched by the police. Angelo posted the pictures of the crime. WARNING: This photo below are not safe for work. There are still no official reports from the police authority regarding this incident.